Everyone has a dream. Whether i t is to be a rock star, a professional sportsperson, a star in a movie, a high profile business investor, or even a lotto winner. All of the above dreams – except for the last one – requires a lot of work and lots of patience, time and money. Very rarely does one make the big time without putting in the hard yards. TV has given us all the unrealistic assumption that everyone can make it without putting in a lot of work. Instant celebrities arise on TV shows all the time. Think of all the people who have won Australian, British, and American idol. Masterchef winners and X Factor champions. Susan Boyle is a great example of someone who has made it big with little effort, but most people realise that the winners of the above TV shows often have put in the big hard yards before their audition. And it shows too. Judges on these shows can tell instantly if one has had classical or singing lessons, and how they move on the stage is more often than not an indication of their experience in the area. Being a lotto winner is the exception. It’s the dream that everyone has because you don’t need to do any work at all. If lady luck is on your side, then you win and can afford a new house and car. So many people around the world today want to make their dream a reality. However so many people around the world also want to do it with little or no effort. This is one reason why you need to do the hard yards if you are going to be a professional gambler. Let’s think about this for a bit. 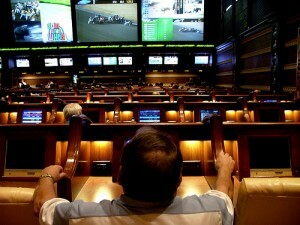 Bookmakers work full time in the industry. They watch all the matches, analyse the injuries, and constantly discuss the teams and their potential. If you are not doing the same, then there is a good chance that you will not be as good at your craft as they are. You will be behind the 8-ball. And pretty soon it will show in your balance. Sure you might have some good wins, but over the long term, time will tell. So now that we have shown that it takes some time and hard work to be a successful professional gambler, what specifically does it require? Well basically, to become a professional gambler you need to be an expert in money management, making bets, and predicting outcomes. All three are necessary to be successful. Without money management, you will soon lose your bank betting wildly on sports bets. Without expertise in making bets, you will find yourself not increasing your bank at all because of poor bookmaker selection despite having great tips. Without being an expert in predicting outcomes, you have little chance except through pure luck to make it in the professional sports gambling arena. So how can Sportpunter help in taking away all those long hours of research and experience that one requires to be a professional gambler? Well in case you didn’t know anything about this website, we are experts in making predictions and are, in fact, professional gamblers. We will show you the skills that you need to get there, to accomplish your dreams of being a gambler full time. We give you the predictions, and we tell you how to manage your money and select the correct bets. We will talk about this more so in the next article. One thing that comes to mind when reading this is that as an individual you have little chance of beating the books over all the sports, so picking a niche is the way to go. If you concentrate on just one sport, and then drill down into just one league and learn everything you can about that small subset then you have a chance of knowing more then the bookies. Yep good point steve. I find that way when it comes to sport as well. I know AFL inside and out and have a better knowledge of the books without the stats. But with the stats analysis the edge is mine across many sports. Is there more money in selling the tips than betting on the tips yourself? Now I’m sure you’ll say you can do both. If so, do you bet on the tips and then publish the odds (putting others at a disadvantage) or do you let your clients wager before you do?? Roger when I first started, I had been at university for 10 years studying mathematics and statistics, so of course I had limited money to gamble with. I obviously made more money selling tips than betting on myself. Ove rthe years I have built up quite a good relationship with my clients, so much so that many of them are now professional gamblers following my predictions. At the moment, yes I do bet on the tips, but do so in a way that doesn’t effect the prices. Hence the need for me to release the predictions as late as possible. Hence the clients are not at a disadvantage at all. A very good friend of mine is a professional gambler &, like yourself, has a degree in mathematics & knows some very heavy hitters. What annoys me the most about betting (besides losing) is that I know who’s going to win, you know who’s going to win, but the betting sites won’t put up the odds which makes it hard if a game starts at 4 am. Plus, I believe you must have a mindset of “betting is fun” for if it becomes too stressful, you make mistakes because we’re not going to win all the time. Professional Punting takes many years of practice, the more you study the better you get, the key is to Minimise losses and when you get your profits you are not coming from too far behind. Great Article guys.